BELLEVILLE, ON: JANUARY 2019 – Community Living Belleville and Area is celebrating the completion of a three-year employment enhancement course that improved skills and preparedness for the workplace. Over 60 people received a ‘Job Readiness – Grow Grant’ certificate, which led people to employment, volunteer and post-secondary opportunities. These opportunities were possible through a three-year Ontario Trillium Fund Grow Grant – Transitioning to Competitive Employment. This grant built on the success of Community Living Belleville and Area’s Job Readiness services. “These sessions trained people on job readiness, skill-building in a workplace, and employment planning,” said Sharon Wright, Manager of Community Development and Volunteer Services at CLBA. “The purpose of the grant was to provide people with intellectual disabilities increased economic stability by preparing each person for the workplace. The goal was to provide each participant with meaningful and competitive employment opportunities,” said Christine Semark, CLBA Executive Director. The three-year term officially wraps up at the end of January; however, CLBA hosted an end-of-term celebration and information session on December 12, 2018, to all those who completed the course. The event was a full day of networking and learning from, and with, local service providers. Participating agencies were: Counselling Services of Belleville and District, Agilec and Canadian Mental Health, META Employment Services, Community Learning Alternatives, Hastings Prince Edward Public Health, and Loyalist College Community Employment Services. “The day was successful with positive feedback from participants and service providers,” Wright said. When CLBA first received the grant money in 2016, a full time Employment Facilitator was hired to take the lead on the CLBA Transitioning to Competitive Employment courses. Over three years, 63 people completed the course, which led them to employment, higher education, and volunteer opportunities. 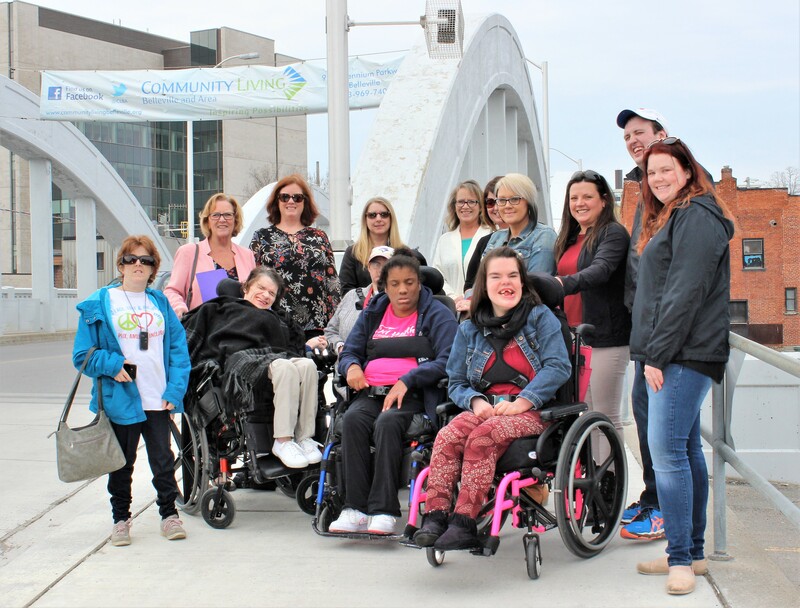 BELLEVILLE, ON: September 28, 2018 – Community Living Belleville and Area is celebrating the purchase of a brand new accessible vehicle, which was delivered this week! It will provide accessible transportation to those supported through CLBA. 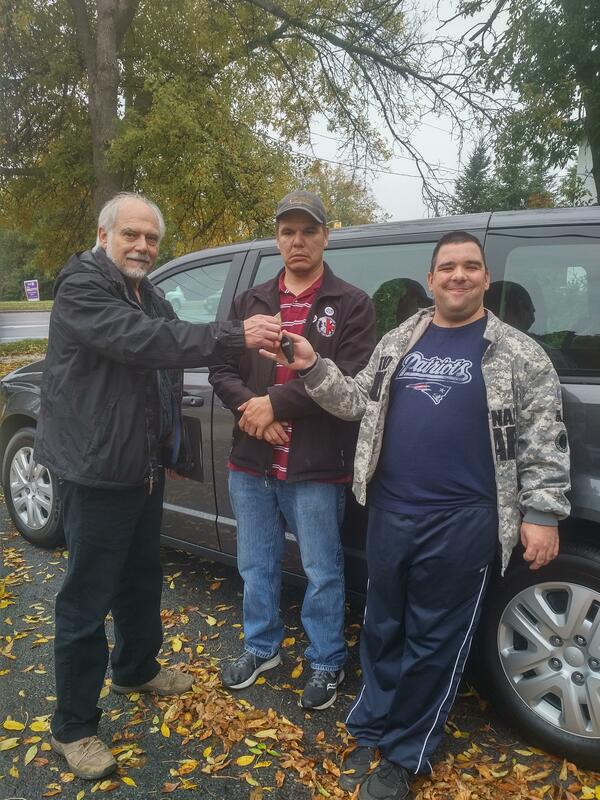 CLBA received two grants, which made the purchase of this van, as well as another non-accessible van, possible. Based on shared funding, Community Living Belleville and Area's Foundation provided one third of the cost to purchase the two vans, and the John M. Bernice Parrott Foundation Inc. provided two-thirds funding with a grant for $75,000. A grant for one-third funding, provided by the CLBA Foundation, was largely possible thanks to the generous support of community donors and sponsors in the 35th Annual Mayors' Golf Tournament. This year's tournament broke CLBA's fundraising records in raising nearly $22,000! 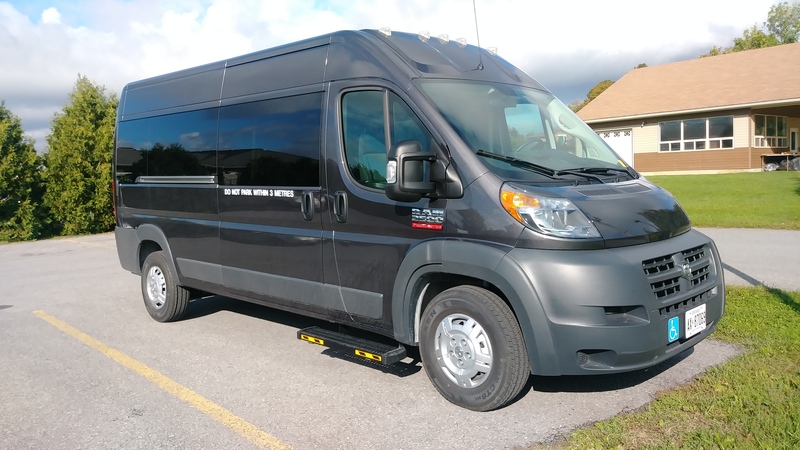 The new accessible van CLBA purchased is a 2018 Dodge Ram Promaster. The van provides great flexibility with an auto floor track (smart floor) system, which allows moving wheelchair restraint systems and ambulatory seating in a number of different ways in order to best accommodate people's needs. The van includes five wheelchair securement devices plus up to six ambulatory seating options. The non-accessible Dodge Grant Caravan has not yet been delivered to CLBA but was also purchased with these funds. BELLEVILLE, ON: May 1, 2018 – City of Belleville Mayor Taso Christopher has declared May Community Living Month. 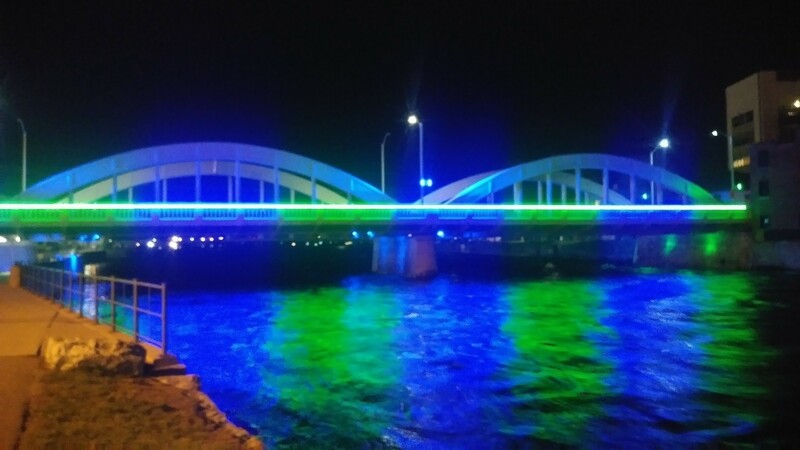 In celebration, the Community Living Belleville and Area banner will be displayed over the Bridge Street (Lower) Bridge for the month of May. We invite you to join us on the bridge for an unveiling of the banner on May 1 at 11 a.m.
Mayor Taso Christopher officially declares May Community Living month at a City of Belleville council meeting on Monday, April 23, at 4 p.m.
Mayor of the Month Councillor Jack Miller will be attending the banner unveiling on the Bridge Street Lower Bridge, May 1, at 11 a.m., where he will bring greetings and remarks on behalf of the City of Belleville. Community Living Belleville and Area Executive Director Christine Semark will follow with remarks from the agency. Following the remarks Christine Semark will invite those in attendance to join Community Living Belleville and Area staff and supported individuals for light refreshments back at the administration office for CLBA, located at 91 Millennium Parkway. OUR MISSION: Community Living Belleville and Area exists to provide quality supports to people with intellectual disabilities and to facilitate their full inclusion in community life. Community Living Belleville and Area is also mandated to educate the larger community and to advocate wherever necessary on behalf of people with intellectual disabilities and their families. OUR VISION: Community Living Belleville and Area envisions a community where everyone belongs and all people are valued and respected as participating and contributing members. ABOUT Community Living Belleville and Area: Community Living Belleville and Area envisions a community where everyone belongs and all people are valued and respected as participating and contributing members. The agency exists to provide quality supports to people with intellectual disabilities and to facilitate their full inclusion in community life. Community Living Belleville and Area is also mandated to educate the community and to advocate wherever necessary on behalf of people with intellectual disabilities and their families. Established in 1951, Community Living Belleville and Area is an accredited non-profit organization that provides a range of services and supports to people with intellectual disabilities. Guided by our corporate Mission and Vision, we are committed to promoting each person’s individual empowerment and success by guiding each of them with autonomy over his or her own life. CLBA enables people to participate in the life of the community, lead active and productive lives, and discover, celebrate and further develop capacities that lie within them. For more information, find us on Twitter and Facebook.